Sooo… kelp? Huh? I get that a lot. Kelp is a vegetable of the sea (aka a seaweed) that grows in the oceans living off sunlight and absorbing many of the minerals and nutrients that exist in the water around it. 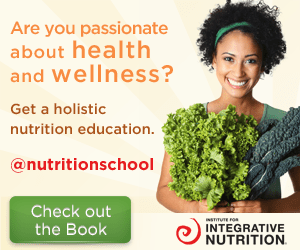 Due to this natural process of absorption, these essential minerals and nutrients are easily assimilated into the body in this natural form (no scientists needed). 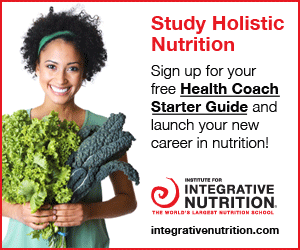 There are many reasons to include kelp in your regular eating cycles, but one of the most important reasons is because of its high levels of iodine. Iodine is an essential mineral and is necessary for proper thyroid function, however most salts are stripped of this natural mineral in the manufacturing process or contain synthetic versions of it, leaving many of us at risk of deficiency. The thyroid is responsible for many functions in the body, 2 of which are regulating our metabolism and keeping our body temperature in check. Using kelp in your food is a great way to ensure that you are getting a healthy dose of iodine (as well as calcium, iron, potassium, and some B vitamins) and reducing the risk of improper thyroid function and iodine deficiency. Luckily, you don’t really have to learn how to incorporate seaweed into your favorite pasta dishes and veggies (although I do encourage it). Kelp is available in a granulated form and can be sprinkled on top of food just as you would with salt. Because it is from the sea, it shares a similar seasoning flavor to salt, and you can use kelp flakes instead of salt or right along with it. 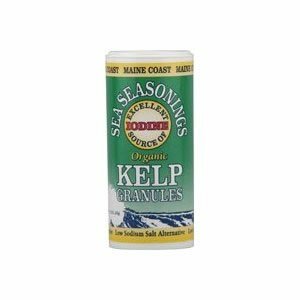 Find these easy to use kelp granules in a shaker at your local health food store or online. Tags: iodine, kelp, salt substitute, seaweed. Bookmark the permalink.